Today is the 8th anniversary of my mother, Carole Provenzale’s, passing. And as many of us know, not too long ago Mother’s Day was just celebrated. With that in mind, I wanted to share a quick story of how loved ones who pass on provide clear communication, if you CHOOSE to LISTEN and PAY ATTENTION. One of my mother’s best friends reached out to me on Facebook and asked if I would like to join her for brunch on Mother’s Day. Of course, I accepted and we chose to meet up at a trendy local restaurant called, The Shed located in Huntington, NY. I thought, wow! If that is not a clear message from mom and grandma, what is? Seeing that made me smile from the inside out. 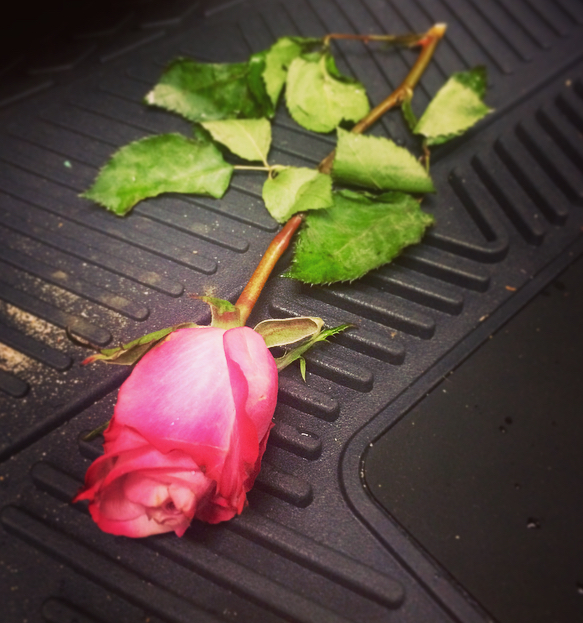 While enjoying a lovely brunch with my mother’s best friend, I shared that I had a gift for her waiting inside my car. After paying the bill, we headed over to my car in the parking lot and I pulled out a beautiful bouquet of roses from the back seat. She was very happy and it turned out to be the perfect gift as she just recently moved into a new home! I shut the car door without looking inside, we chatted for a bit, eventually hugged, and parted ways. As I pulled into my driveway, I thought to myself, “I should really clean out the back of my car,…its been a while.” I exited the drivers side, moved immediately to the back passenger door to clear out behind the drivers seat, and what do I find? Laying behind my basketball on the floor, a single rose. 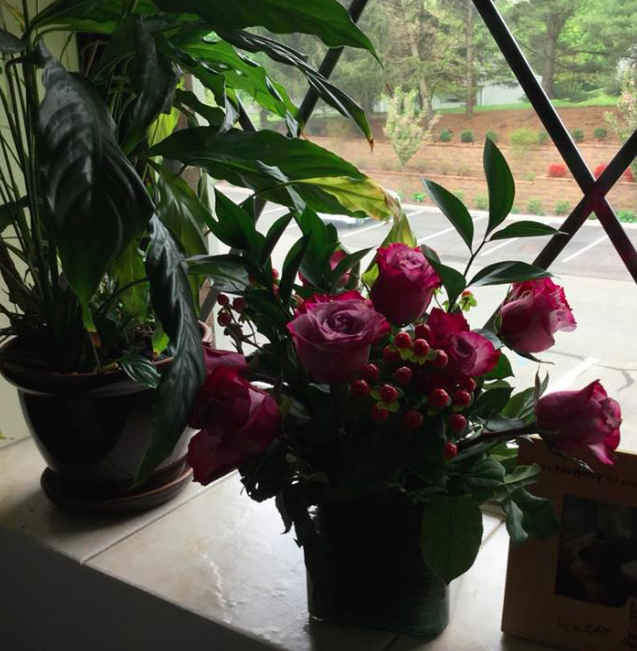 For me, this was a wonderful gift to receive on Mother’s Day. It’s not just my mother who passed away. It’s my aunt, my grandma, my uncle, and grandfather. That pretty much sums up the entire immediate family on my mother’s side. So this simple gift provided an abundance of comfort and joy to see. In order for you to learn how to see the signs, practice becoming more present with your daily life. Participate in researching for yourself what different symbols mean and how they resonate to you. Participate in researching what death is, from an eastern lifestyle perspective. The roots of Feng Shui stem from Doaism, which believes the soul lives on without the body. If you need something more tangible in terms of a western perspective, Medium John Edwards provides great educational insights. I think it's safe to say that many of us at one time or another have experienced loss; let that be from a break up, loss of a family member, or even a job. The levels of intensity vary from person to person. Feng Shui became one of many tools to assist in my grieving process. How so? Living the lifestyle of Feng Shui promotes the concept of staying connected with the spirits of deceased loved ones, while releasing the physical attachment. This is vitally important to understand and embrace. This also required me to review how I was choosing to furnish my home (let that be though colors, elements, artwork, textiles, lighting, etc) because all of it conveyed a story of emotions, along with what my subconscious and conscious minds were choosing to focusing on. In that moment, I was focusing on the past and it was holding me back in all realms of life. Being honest with myself and seeing that I was living in the past, initiated the process of re-opening myself up to unlimited beneficial possibilities. Two life sections on the ba-gua map that were heavily engaged during this time in my life included spirituality/wisdom and family. In short, I created a ceremony by visiting Provincetown, MA (as Carole, Peter and Rose were very found of P'Town) to spread their ashes, signifying 'letting go' and honoring their final wishes. Was it all sad, doom, and gloom? Absolutely not. To me, I choose to perceive the act as an adventure and it for sure was a literal end of an era to new beginnings. Keep in mind, it took me time to get up to this point (from 2013 - 2017). I worked with other healers, read books and took workshops that allowed me to understand the process of death, grieving and healing. The intention of this post is to help offer another approach or perspective in how to grieve. For anyone experiencing this lesson in life, know it takes time to heal. Please allow yourself to live your life to its fullest and know those who have passed on are only a whisper away.